Free Bible Lesson Hosea: Can God TRUST You? Key Point – Can God TRUST You? Skit – God is faithful even when we are not – mom gets mad at her son for forgetting his chores – mom explains that God is faithful all the time – boy feels like a failure mom explains that the Bible tells that He is faithful even when we are not. The mom explains to the boy what faithfulness means – that faithfulness is doing what is right all the time no matter what anyone says or thinks. Skit – Job application for paper route – One kid is a slob another one is faithful the job goes to the faithful kid. Explain that when we are faithful God will bless us. The two kids fill out a job application and turn it into the guy hiring one kid has a sloppy exterior the other one is neat. Object lesson – What does God look for? Money, looks, popularity, no he looks for faithfulness. Have some fake money, a mirror, and a your #1 sign ask which one does God notice more? Allow time for response. Tell the kids God looks not for the richest, most popular or best looking he looks for people who are faithful. That will do the right thing every time no matter what. Object lesson – What would you rather have $20 or $1 dollar a day for a week but double it each day. Explain that most people would want the $20 because it sounds like more money but the dollar a day is more because it doubles each day. Faithfulness is doing what is right no matter what. If you keep doing the right thing long enough you will be blessed. If you would keep doubling the $1 you will have $64 dollars at the end of the week that is what happens when we are faithful. Puppet – Puppet is upset because he doesn’t think that God can trust him that he is a bad worker and he talks about other a lot. The MC explains that we need to work to change to make our lives count for Christ we want Him to be able to trust us. Is God faithful all the time? What will God do if we are faithful and continue to be faithful? What does doing the “right thing” mean? What can we do this week to show our faithfulness to/for God? To our mom and dad? To Pastor Sam? we are faithful or do the right thing? Does God continue to love us even if we don’t do the right thing? Family ministry has been a priority for churches since the 80’s but in the past 15 years there has been a new push for youth and kids ministries to be working together in sync with each other in a way that produces a cohesive strategy to equip and empower families like never before. When I started blogging 6 years ago there were only a handful of children’s pastors blogging. There were also a few youth pastor blogs as well. The desire I had for my blog at the beginning was to be to someone else what I wish I had when I started. In the past 5 years there has been a huge shift toward staffing family ministry positions. That title means something different for each person using it for us here it refers to a single staff member responsible for all programing from birth through college. 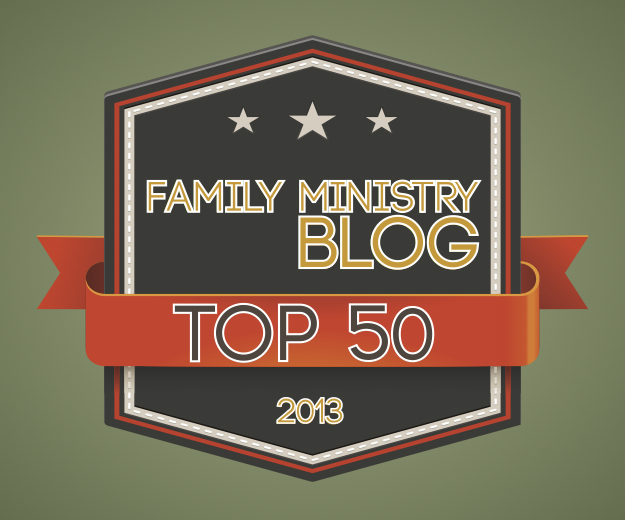 While there are not a ton of family ministry specific blogs out there yet, I thought it would be helpful to highlight some of the best of both the youth and children’s ministry blogosphere. Playing for Keeps Book Launch today! Whether you’re a parent or a leader, you’re making history. The question is, what kind of history are you making with the kids and teenagers who are closest to you? Playing for Keeps is a book about six things every kid needs over time from the parents and leaders who are closest to them. The people over at Orange are launching the book with a short, fun webcast at 12:30 EASTERN TIME TODAY, SEPTEMBER 18. Don’t miss Reggie and others as they introduce these ideas and tell why they think they’re so important. To view the webcast, go to www.OrangeTour.org. —You can buy Playing for keeps at www.OrangeStore.org. 3 ideas to make church fun for kids. I am all for kids being grounded in the word. I regularly go over catechism questions with my kids because I want them to have a theological framework born out of a biblical world view. But I also believe church should be fun. In kids and family ministry we generally fall into one of two categories biblically driven of fun fanatics. We have to continually fight to be what we are not. Fun is important because fun creates memories fun creates the containers that hold truth for a lifetime. 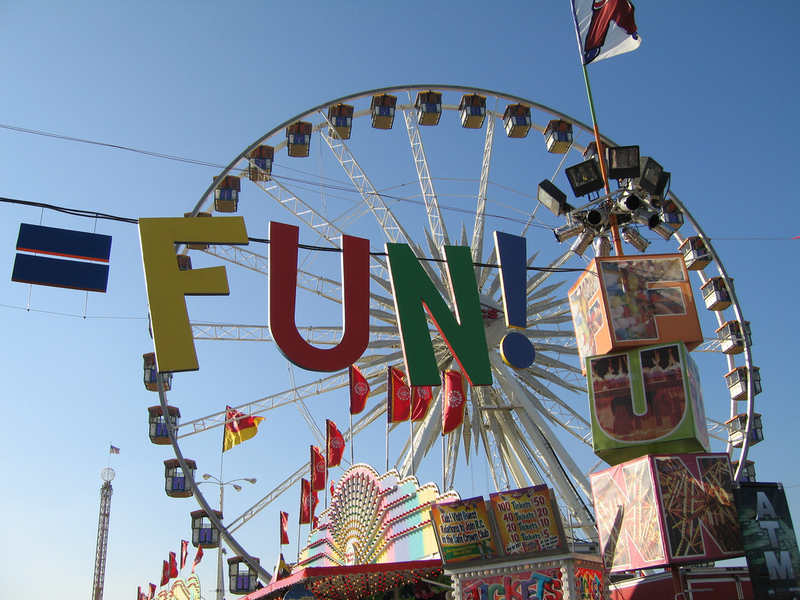 Here are a few things we are going to try to make things fun in Uptown.